© 2013. 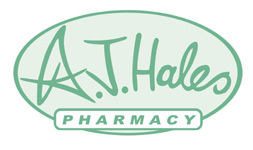 A J Hales Pharmacy. E-mail: andrew@ajhales.co.ukTel: 029 2075 4446 Registered with the Royal Pharmaceutical Socierty.